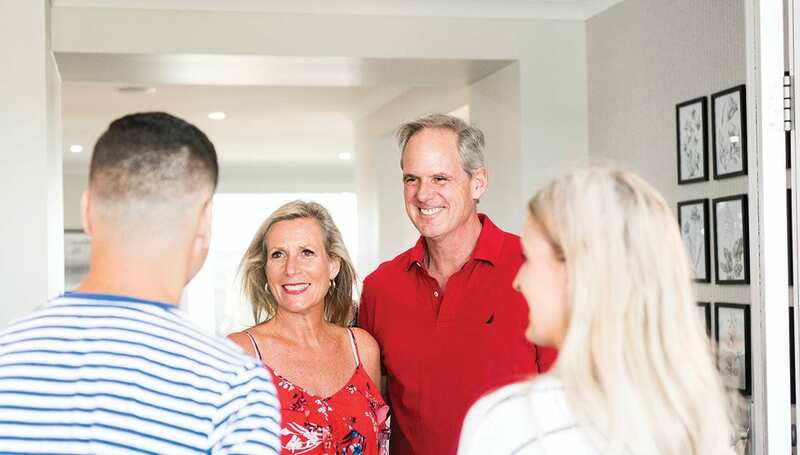 We know how much you love living at North Harbour, so refer your friends and family, and once they settle on their block, you’ll both receive a $500 gift card! To be eligible, you need to download our application form and submit it before your friend or family member registers their interest at North Harbour. 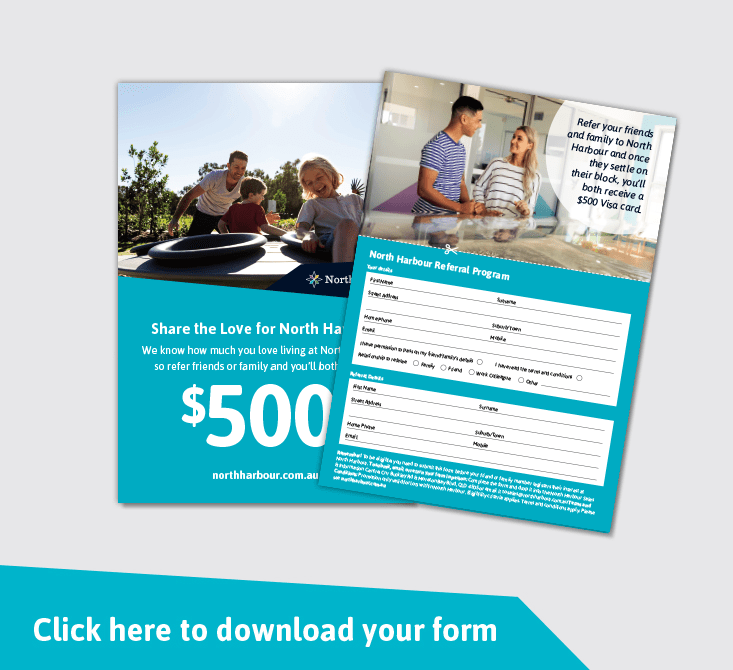 To submit, email or return your form in person: Complete the form and drop it into the North Harbour Sales & Information Centre, Cnr Buckley Rd & Moreton Bay Blvd, QLD 4505 or email it to sales@northharbour.com.au.